The objective of creating banner ads isn’t always to get high click-through rates and conversions. They are also an extremely useful tool to brand your client’s business. Banner ads can receive thousands of impressions per day, and if you leverage the right message and copy, you can run extremely successful branding campaigns. Here is how three of the world’s largest sporting brands use current cultural topics, such as women’s rights and gender equality, to attract eyes to their banners while further enhancing their brand. Nike’s banner ad couldn’t be simpler. 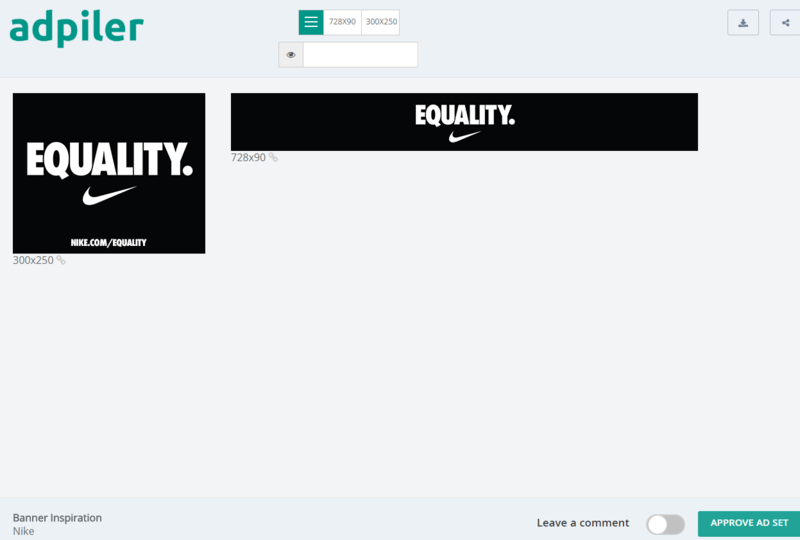 Using their brand colors (black and white), their banner displays the word EQUALITY in bold. Unless you’ve been hiding under a rock for the past few years, this is a simple yet powerful word that is getting a lot of attention in the mainstream news and the political arena. Directly underneath the word is their iconic logo, which immediately tells the reader where Nike as a brand stand on such cultural issues. Adidas take a similar approach to their rival Nike with one of their latest ads. 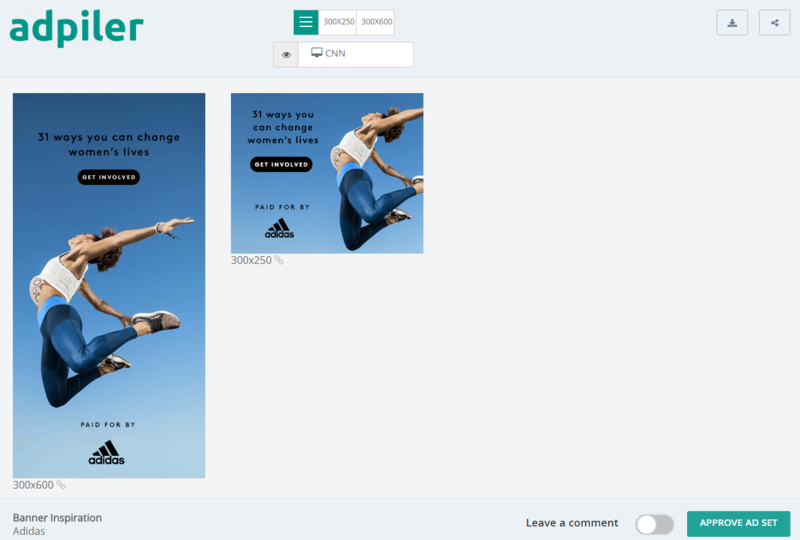 The banner is raising awareness for women’s lives and shows a woman jumping in the air with nothing holding her back, further emphasizing Adidas’s slogan of “impossible is nothing” for all genders. Puma recently ran their Forever campaign, which aimed to break gender stereotypes. “Fierce,” “rebel,” and “faster” are typical adjectives used in sports to describe males, but all of Puma’s banner ads for their Forever campaign feature only women. Nike, Adidas, and Puma didn’t do anything out of this world or revolutionary with their banner ads in terms of color or imagery, but they are all still images that you’ll be able to find in any sports magazine. Their messaging is direct and powerful because they are riding a current cultural news issue that most people in the world are aware of. Through words, they are all able to create a powerful brand message and spread the message of equality between genders. If these ads were shown 10 years ago, they wouldn’t make much of an impact because nobody was talking about such topics. Today, they are talked about on a near constant basis in the media and by major news outlets. Do you work with luxury brands or with clients who hold strong brand values and would like to push their message out further? There’s a lot you can learn from the world’s top sports brands. Take a deeper look at your client’s industry and if there are strong messages you can align with to grow their awareness and increase their branding using banner ads.